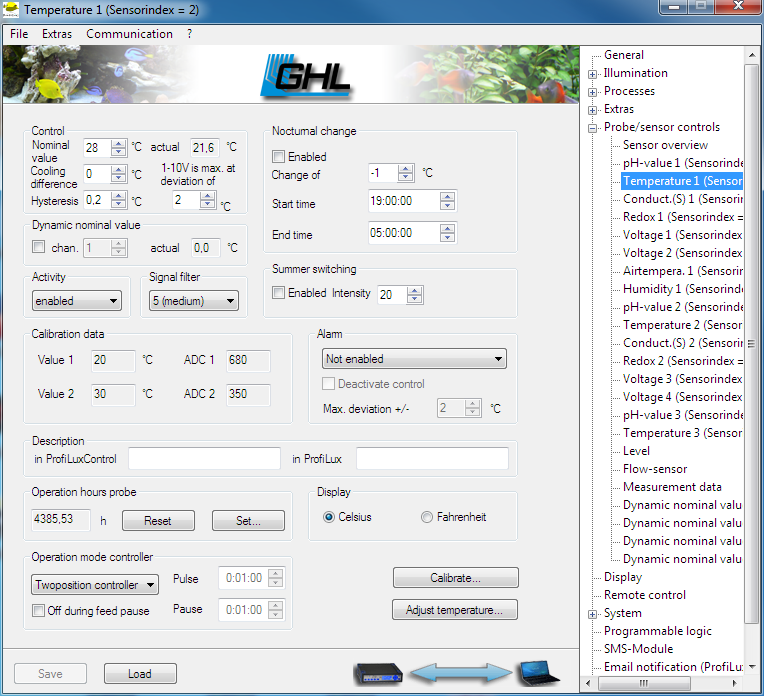 The computer of the ProfiLux II–series can be connected to your PC. 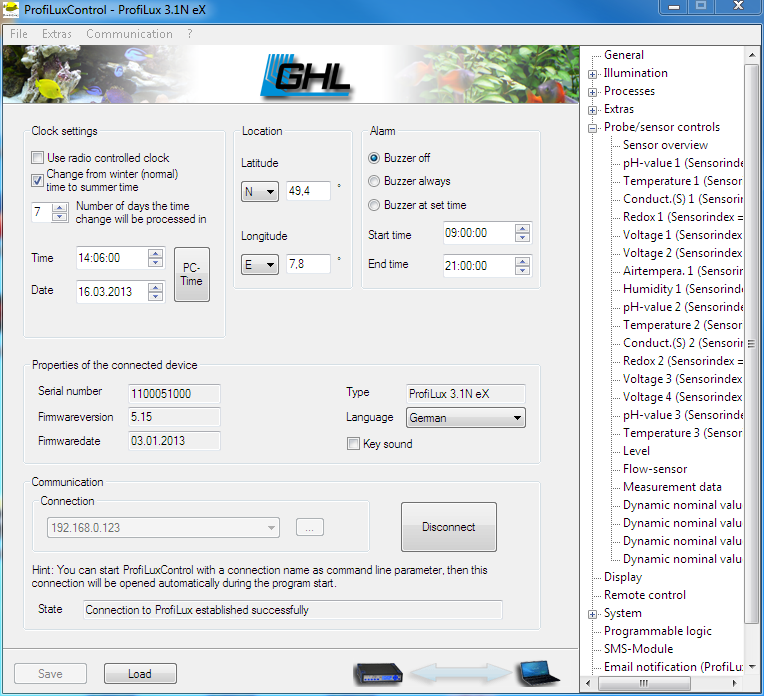 With our software ProfiLux Control, which is available for free in the download section, you can comfortably set all the necessary functions. 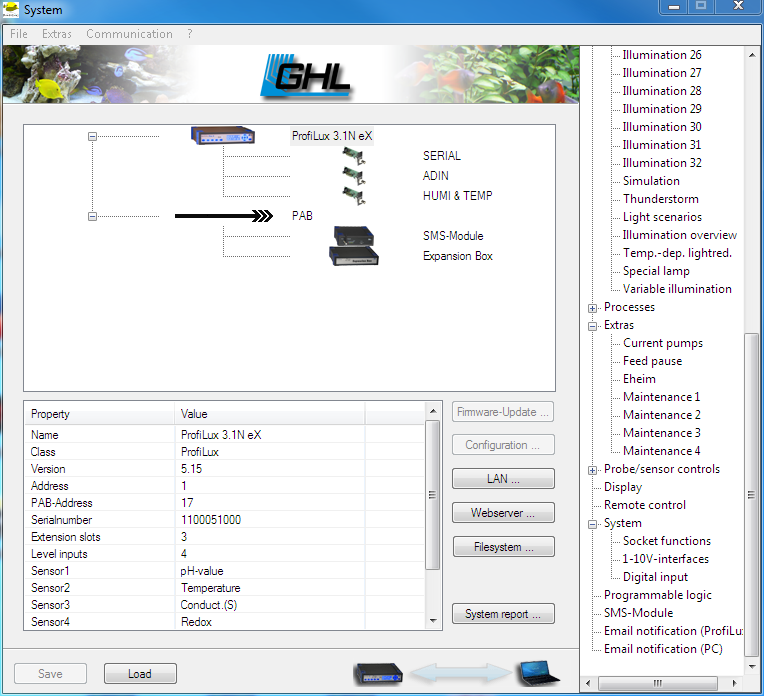 ProfiLux Control also includes measurement analysis and automatic email delivery features. The connection to the PC can be done either via the serial interface (with our cable ProfiLux–Ser) or via network. 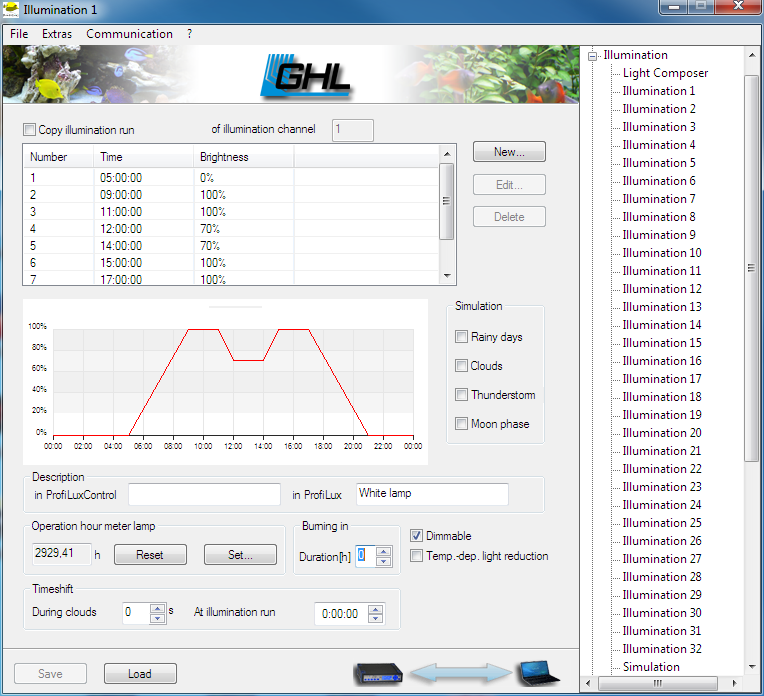 ProfiLux Control is compatible with Windows XP, Windows Vista, Windows 7, 8 and 10. There is no Mac version available. The use of that Windows software with “Parallels” is possible.